As the midday sun retreats and the afternoon shadows lengthen we depart on a journey, an adventure to discover the unknown behind every bend. Observing every branch for a rare endemic bird, to be rewarded instead by an elusive leopard. The silence was broken by the deep low rumble vibrating through the bush, which could only belong to a large herd of elephants. Out of nowhere, they appear with a focused determination towards the life-giving water up ahead. Knuckles white, as I grip the seat of the game viewer, relishing the moment as a highlight of my journey through Africa. The early morning suns rays reflect off the waters edge, the soothing sound of the water as it is gently broken by the bow of the boat cutting through the water’s surface. The varied landscape of papyrus islands, reed floodplains and moving past petrified dunes, leaves me in awe of the vast open space. Around every corner a new bird, antelope or a carnivore quenching its thirst. A sudden fountain of water followed by a deep grunt reveals the large pod of hippos curiously gazing upon our arrival. The boat comes to a halt. “Look”, says our guide Beaven, pointing past the big camel thorn tree in front of us at the herd of buffalo. As our guide describing the behaviour, we get an insight into the lives of these extraordinary beasts. He shifts our attention swiftly to the tracks of the hyena that passed the night before followed by her cub. I am in awe of the knowledge Beaven has parted. He teaches us the medicinal value of the knobthorn tree, the techniques to use for making rope and the ‘toothbrush’ bush. 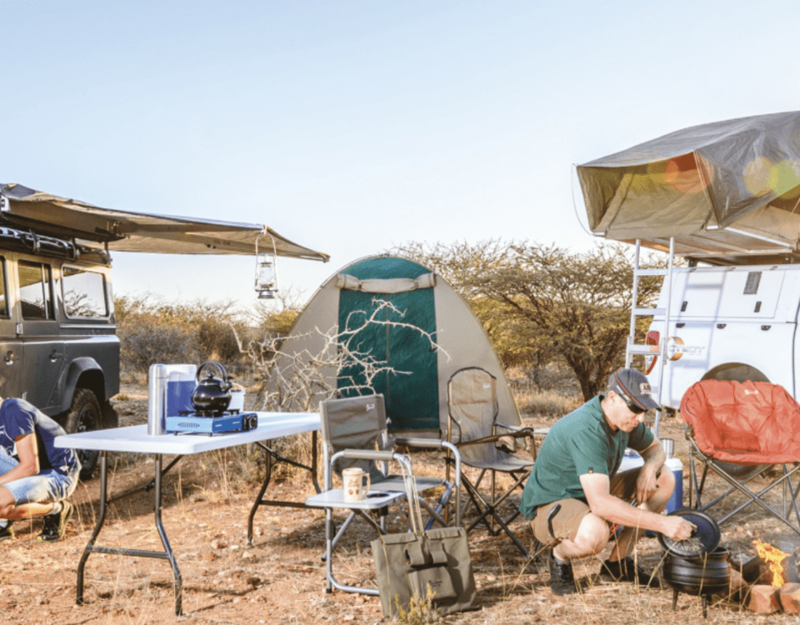 Going out for a bush breakfast and/or a sundowner in the evening is a must when you visit Africa. We take you to the most romantic and memorable spots. There is nothing quite like sitting in the silence of a remote area, with the splendid array of bird song, while watching the sun rise or set. It’ll make you fall in love with the Zambezi region all over again. You can plan around two hours, start to finish, for one of these delectable and relaxing experiences. We are happy to arrange breakfasts to suit any of your special dietary needs as well. Walking through the gates of the local homestead reveals the complexity of the inner courtyard. It is here that your traditional guide shares the age-old stories brought down through the generations from father to son. Experience the day-to-day life of the archaic cultures from the Mbukushu and the Lozi traditions that has remained unchanged since the beginning of their time. The famous Horseshoe Lagoon, with its vast herds of elephant, is the most sought after spot for a sundowner and snack whilst barefoot in the sand. 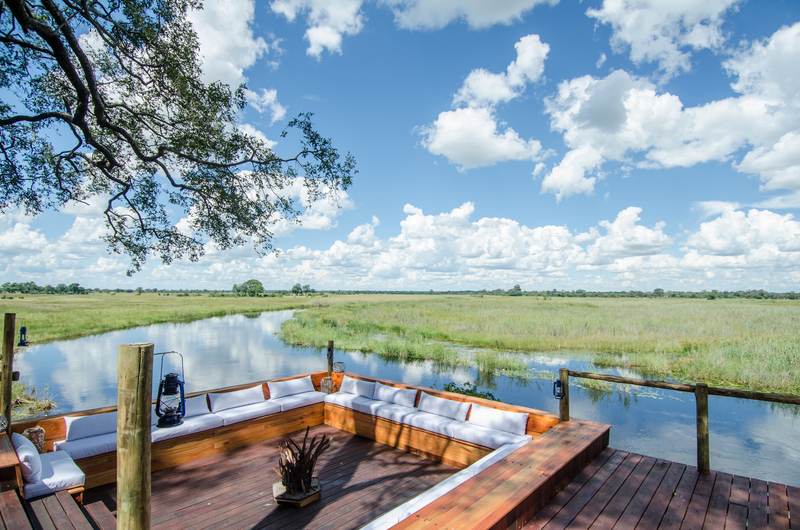 Soak up the breathtaking sunsets together with hippos and large herds of elephants silhouetted over the water. An exclusive night drive, while viewing the nocturnal wildlife, takes you back home where a bubble bath awaits you. Dining is deemed to be the highlight of a bespoke travel experience. At Nambwa we take immense pleasure turning every meal into a memorable experience. Our locally trained Chefs illustrate their artistic flair of local and traditional influences. They delicately prepare ingredients sourced from local subsistence farmers and add spice to these culinary delights to evoke a spark of the art and elegance of fine dining.